An improved method for diagnosing colorectal cancer without using invasive techniques has been developed by scientists in China. 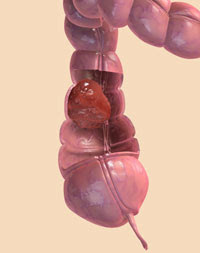 Colorectal cancer has become one of the most common forms of cancer in the Western world. Early diagnosis plays a key role in recovery from the disease, but this is hindered by the invasive techniques often needed. To address this, there has been increasing focus on finding ways to detect cancer cells excreted in faeces. A team led by Guohua Zhou at Nanjing University has now developed an improved method for detecting cancer-cell RNA in stool samples. The team used a bead-based assay in conjunction with the polymerase chain reaction to detect the RNA produced by cancer cells. By using beads functionalised with multiple primers (to detect multiple RNA products), they were able to increase the detection rate by reducing the number of false negatives. They tested their method on stool samples from patients with colorectal cancer, and found a detection rate of 77 per cent, which Zhou describes as 'promising'. A key advantage of analysing multiple genes simultaneously, says Zhou, is that 'it avoids the trouble of preparing different calibration curves for different genes'. He concludes that, although the sample size is not large, their work 'does give us hope of non-invasive diagnosis of colorectal cancer'. Jennifer Hardingham, a specialist in molecular oncology at the Queen Elizabeth Hospital, Woodville, Australia, agrees with Zhou that the sample size needs to be increased, saying that use of a larger cohort 'will establish whether the sensitivity is sufficient for reliable detection of tumour cells in stool samples'. Nevertheless, she describes the method as 'highly innovative', and adds 'I look forward to the development of this technology in kit format for colorectal cancer diagnosis'.